Punjab Chief Minister Captain Amarinder Singh on Tuesday awarded the four best Sub Divisional Mission Teams (SDMTs) for their outstanding contribution to the government’s mission to eradicate drugs from the state.The Chief Minister, while handing over the appreciation certificates to SDMs and DSPs here at Punjab Agriculture University (PAU), exhorted them to redouble their efforts to ensure 100% public participation in the anti-drug campaign of the government. Public participation was critical to the fight against drugs, he said, while assuring the officers of his government’s full support in their efforts against drug abuse.Interacting with SDMs and DSPs of Abohar, Barnala, Payal, and Taran Taran, who had been selected on the basis of their performance which was reviewed at the STF zonal level, the Chief Minister lauded their dedication to duty. The award would encourage healthy competition in the force to perform, he added. Those awarded included SDMs Payal Swati, Sandeep Kumar, Poonam Singh and Surinder Singh, and DSPs Payal Rashpal Singh, Jasvir Singh, Rahul Bhardawaj, Gurwinder Sangha, Bhikhiwind Sulkhan Singh Mann and Patti Sohan Singh.Earlier, Nodal Officer DAPO Rahul Tewari apprised the Chief Minister that a total of 91 Sub Divisional Mission Teams (SDMTs) were constituted to create awareness among the people about drug abuse, and to motivate the affected youth to come forward for treatment. 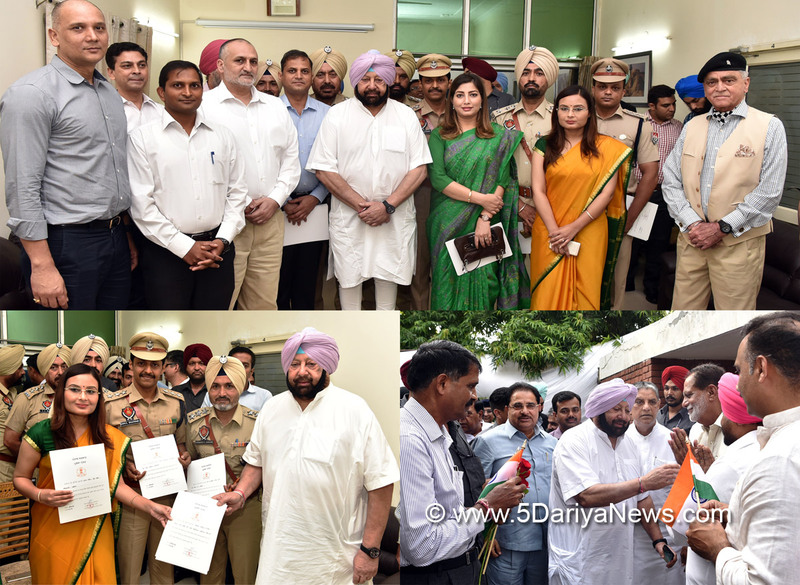 The SDMTs were given a deadline of July end to cover the state, which was successfully done, he added.Those present at the event included Senior Advisor to CM Lt. General (Retd) T S Shergill, STF Chief Harpreet Singh Sidhu, Commissioner Police Ludhiana Dr Sukhchain Singh Gill, Deputy Commissioner Ludhiana Pradeep Kumar Aggarwal.